Leading American fantasy sports company, DraftKings, has made its way into the Australian market. The announcement was made on Monday, making Australia only the sixth country that the platform operates in outside of its main North American market. DraftKings was initially launched in 2017 in the US and has since extended its reach to include Austria, Ireland, Germany, Malta and UK markets. It should be said that despite the push for an international presence, the daily fantasy sports platform has not replicated the numbers garnered in America in other territories as of yet. It goes without saying that the Australian populace is quite fond of sports. It has also seen a rise in gambling activities of late, indicated by the several state government’s recent push to increase gambling taxes. Thus, DraftKings entry into the market down under forms the perfect ensemble of two of Australian’s favourite pastime activities: sports and gambling. This fact was highlighted by DraftKings international head honcho, Jeffrey Haas, seemingly singing Australian fans’ praises in a press release. Australia is “home to some of the most passionate sports fans in the world”, Haas explained. 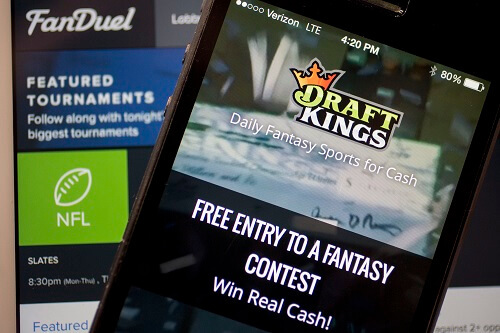 Having originally been made for the US market, DraftKings’ push into the European market meant that they had to include sporting codes targeted towards a European audience. In their press release, DraftKings made no mention of their intentions to offer popular Australian sporting codes such as Australian Rules Football, rugby and cricket. They did, however, earmark soccer as the main drawcard for Aussie bettors. This is primarily due to the fact that the 2018 FIFA World Cup to be held in Russia looms in a couple of days. Questions over whether the DFS company’s international expansion will bear fruits still need to be answered. However, if the Northern Territory Racing Commission’s endorsement is anything to go by, the daily fantasy sports company is destined for success.